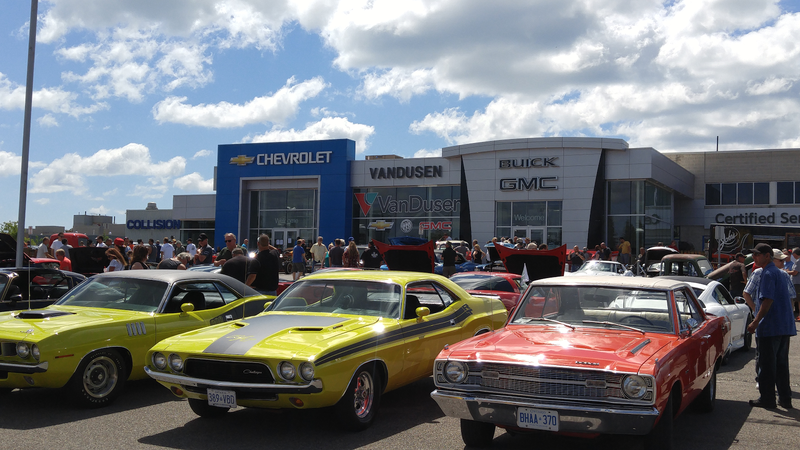 I would personally like to thank everyone who attended and enjoyed our 3rd annual VanDusen Charity Car Show. Although spectator admission was free, with a $5 charitable donation from over 225 cars, donations from our sponsors, and a donation from VanDusen Chevrolet Buick GMC, we were able to present a cheque for $8,000 to Big Brothers Big Sisters of South-West Durham. It was a great day and we were fortunate to have a perfect hot, sunny summer day in Ajax. We were truly blessed to have a large turnout, with people streaming in all day long. Thank goodness, we had just enough parking!! It was amazing to see all the families and especially the kids. It was awesome to see them experience the same joy and smile when they saw a really cool car, like we all did many years ago. 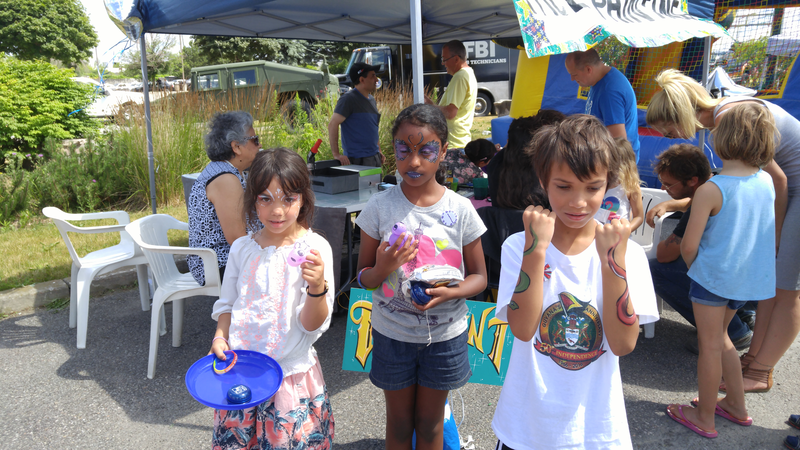 There were activities for everyone: from face painting, balloon twisting, a bouncy castle, food truck, popcorn DJ music, to picture-taking with some fabulous cars and people. It a was truly a Family Fun event. 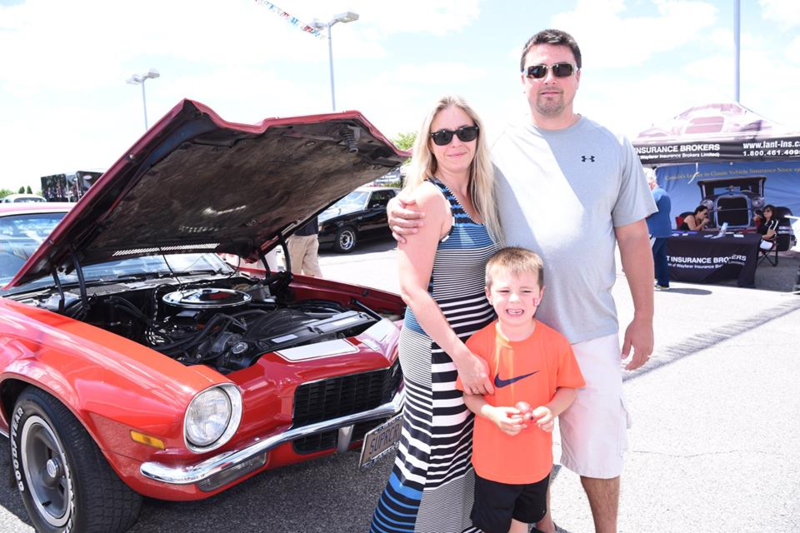 Thank you to all the show entrants of classic and unique cars that participated and allowed the public to share in your passion. It was a beautiful sight to see your vehicles completely fill our dealership, front lot and wrap around both sides of our dealership. Without your Cruisers, Hot Rods, Trucks and Muscle Cars, there would be no show. 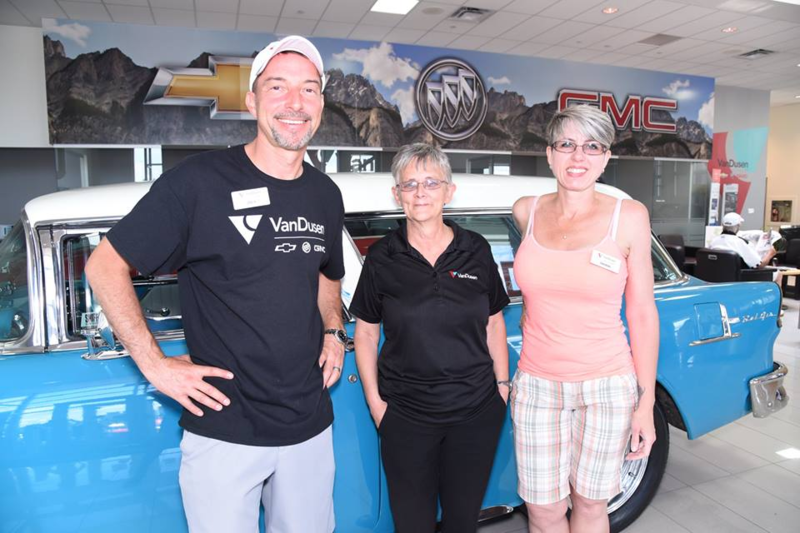 Pictured above: Jim VanDusen, Dealer Operator and General Manager, Arlene Payette, Service, and Tamara Cole, New Vehicle Sales Consultant. Thank you to our twenty plus sponsors. A special thanks to our title sponsors: Karbelt Speed and Custom Pickering, Hot Rod Swag, Golden Leaf Automotive, Royal Bank of Canada, and Durham Region Classic Mustang Club, who also assisted with show car parking. 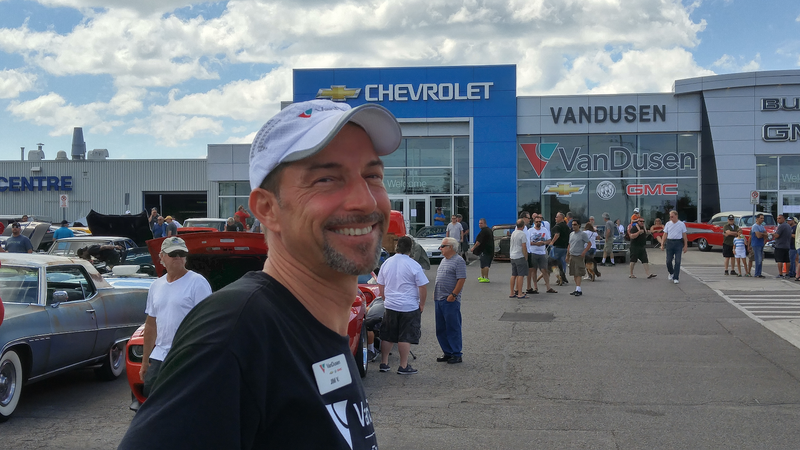 I would especially like to thank all of the Team at VanDusen Chevrolet Buick GMC!! I truly appreciate that so many of you, and your families, volunteered your valuable time to help make Our Show a success. You helped out in moving over 200 vehicles ‎Saturday, and then back Sunday. You helped in handling the registration, tickets sales, parking, directions, manning booths, and mingling with the crowd. It a was truly a Team event. 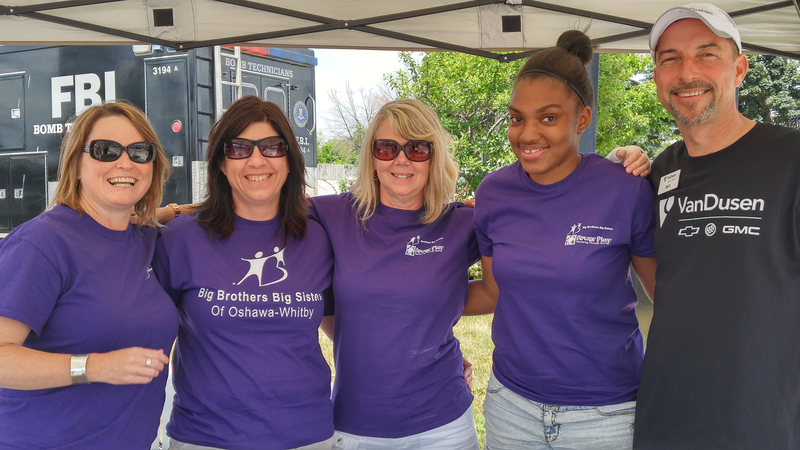 Please visit Big Brother Big Sisters of South-West Durham to learn more. DONATE to Big Brothers Big Sisters of South-West Durham.